When we look at the cricket video games, we are aware of the fact that there aren’t many game companies who would like to work on a cricket video game apart from the companies who are located in nations like Australia, England, India or Pakistan where cricket is one of the major sport. 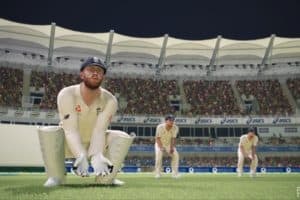 EA Sports and Codemasters, who have been making cricket video games for almost a decade are no longer interested in risking themselves in cricket video games. Most of the companies are new but they have still impressed everyone with their previous installment of cricket games. However, here we will be covering list of Upcoming Cricket Games for PC or Consoles which might arrive at the end of 2015 or in year 2016. This is almost a confirmed new that BigAnt Studios will be releasing the next installment of their popular cricket game Don Bradman Cricket next year. We posted last month that BigAnt Studios hints on releasing Don Bradman Cricket 16 next year on their twitter account. Don Bradman Cricket 14 was a huge success and critically acclaimed one of the best cricket game developed since last decade. Indiagames/Disney was responsible for the official ICC Cricket 2015 World Cup game which was released earlier this year. We are aware of the fact that the ICC license is with Indiagames and they might also release another official cricket game for next year’s ICC T20 Cricket World Cup. Although their cricket game wasn’t a full fledged cricket game like Don Bradman Series but we can still hope for better improvements than the 2015 installment. Childish Things have been consistent in releasing the new installment of their popular management cricket series Cricket Captain every year. They recently released Cricket Captain 2015 last month and we can also predict that they will be releasing yet another installment next year. Although, you won’t see much difference in their game every year. The next Installment of Cricket Coach Series, by Rocking Software has already been confirmed by them on their official website. The game is still under development and might come later on this year or Q1 2016. Where is Codemasters and EA Sports? Codemasters are no more involved in cricket video games. The last cricket game they published was International Cricket 2010. Apart from this, they might have also sold their Ashes Cricket license to 505 Games, who then made an attempt to release a new cricket game Ashes Cricket 2013 which was also canceled after the release due to number of bugs and poor quality of the game. Hence, no more Codies Cricket as of now. Regarding EA Sports, their last cricket game was EA Sports Cricket 2007. They had the official ICC license and there were lot of solid rumors that they were working on EA Sports ICC Cricket 09 which included commentary from Harsha Bhogle but the game was never actually released. The last cricket game from EA Sports was Cricket 10 for mobile. 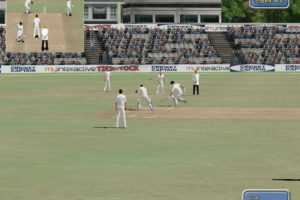 EA Sports also confirmed in 2012 that they have no plans at this moment for Cricket Games. If you have more information regarding the upcoming cricket games, do let us know by posting below and we’ll add it along with the sources. Don Bradman Cricket 16,, You said Don Bradman Cricket 16 is coming ,, Oh waoo, this is going to be BIG Thing,, Whole Series of Don Bradman is best. Can you suggest a 2 player cricket game which can be embedded on our site? If available kindly send me the link where I can find the code.